The Olympics are over, but they have set the stage for a wider social conflict over the future of the city. Mr. Bach is delusional. But he is correct about one thing: People will talk about Rio as a city “before” and “after” the Olympics. It just won’t be the conversation of his fantasies conjured inside his Olympic-sized bubble. Now the real story starts in Rio. Now that the 2016 Summer Games have been completed, with the most-discussed dramas being empty seats and the lies of an over-privileged swimmer, the real story begins: the story of how badly the Olympics will end up warping the city itself. For months, Rio has been the subject of international fascination in the Western media: this idea of a magical city on the coast on the precipice of an Olympic-sized catastrophe, with the whole world watching. Journalists looked agape at the 2016 Olympic hosts wrestling with the impeachment/coup of their president, the country’s worst economic crisis in decades, a massive outbreak of the Zika virus, water judged to be loaded with more toxins than a Jersey swamp, and shocking levels of police violence. The media assumed that the narrative would end just this side of Armageddon. Yet Rio did it. They made it work with the help of the hard, thankless labor of thousands of people building the facilities in hyper-exploitative conditions and directing visitors throughout the city. They pulled off the games without the collapse of a stadium, mass waterborne illnesses, or a widely speculated-upon terror attack. And Brazil even won some gold in the bargain, crowned as best in the world at two of country’s most important sports: men’s soccer and men’s volleyball. The nation’s most visible Olympic hero even hailed from Rio’s own City of God favela: gold medalist judoka Rafaela Silva. It’s almost “Olympic city as Horatio Alger story,” and will no doubt be written as such: Rio may have done it with Scotch tape, smoke and mirrors, but they hosted the damn Olympics. Yet the story isn’t over. The full story goes beyond medals. It’s a story that is not only about the social cost of these games—the debt, displacement, and militarization that went into staging the spectacle—but the economic cost as well. The second half of Rio’s Olympic story is predicated on a simple question: How are all the bills from 2016 going to be paid without enraging the masses of Rio—and beyond—who spent these Olympics with their faces pressed up against the glass of a global party? It is not merely that the Olympics were over budget. There has never been an Olympics that could say otherwise. But the Rio Olympics came in 51 percent over budget in the context of the nation’s protracted economic crisis. Thomas Bach, the head of the International Olympic Committee, said that the Rio games used “no public funds,” a manifestly outrageous lie and yet only one in his parade of delusional statements as the games came to a close. The Rio Olympic Committee, which already received a $900 million bailout in June, has applied for more bailout funds. The Paralympics are widely reported to be truncated because the well is dry and the city just devoted an extra $46 million to make sure they can even be staged. Meanwhile, the Olympics may not only have caused displacement but set the stage for an even wider grab of Rio’s top-end real estate. This wider land grab will play out almost immediately, as the area which housed the Olympic Village is now set to be developed by 92-year-old billionaire real-estate developer Carlos Carvalho, whose political connections and contempt for the poor are legendary. Additionally, a favela called Horto, which has been a community for 200 years and sits on the edge of Rio’s remarkable Botanical Gardens, is about to be displaced, with over 600 families given 90 days to vacate. 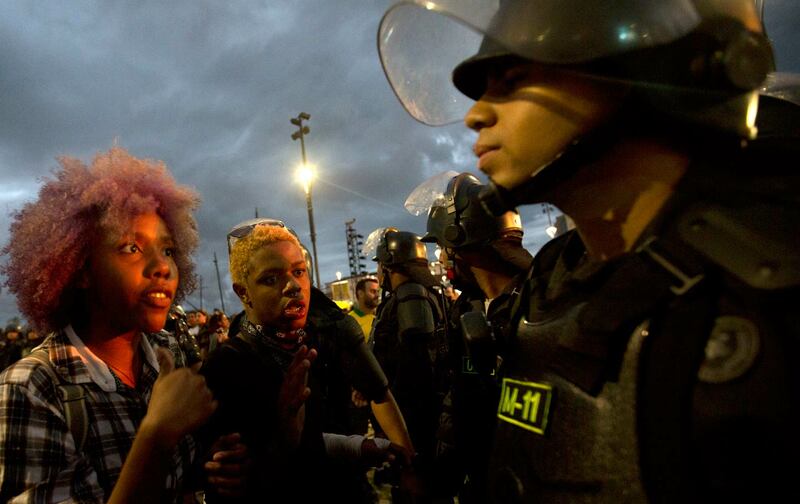 As pressures on Rio’s favelas increase, the city’s epidemic police violence—one in five homicides in Rio last year were committed by law enforcement—is not going to magically disappear with the Olympics. Most officials with whom I spoke, including the mayor, said that the violence is less related to the Olympics than to the absence of funds for community policing. It’s the “what’s happening” that should scare everyone who cares about this city. It’s the “what’s happening” that should be a call to arms for every member of the media who practiced journalism in Rio and then left for home. This is the rest of the Rio story: It’s a story about the people who hosted the Olympics under impossible conditions, only to find that the games were staged on their backs. The story will be about how Rio continues to buckle, or straightens its spine.